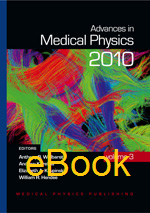 This is the third volume in the biennial series Advances in Medical Physics (AMP). The series is designed to help medical physicists, technically inclined physicians, and other professionals stay current in medical radiation science and technology. This volume is strong on the topics of image quality and quality control.